The Ethiopian Airlines Flight 302 and Lion Air crashes were two deadly incidents involved Boeing's 737 and claimed close to 350 lives. London: Boeing Co.’s 737 jetliner has been an aviation workhorse since it first took to the skies in 1967, enjoying unparalleled success while improving its safety record each decade as fatal incidents became increasingly rare across the industry. 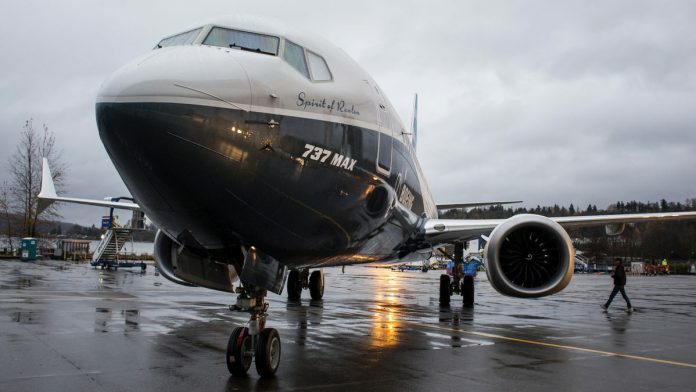 The latest Max version extended the 737’s popularity with a welter of orders, but two deadly incidents claiming close to 350 lives in five months have raised questions about the model’s future. Here’s a timeline showing how the aircraft has gone from being a marketing triumph to a focus for safety concerns. Boeing launches the 737 Max with close to 500 commitments from five customers. The re-engined model is a response to the A320neo from European rival Airbus SE, and while coming to market nine months later, it quickly piles on sales, eventually garnering more than 5,000 orders. Engine supplier CFM International, a joint venture of General Electric Co. and Safran SA, alerts Boeing to a quality issue with parts in the new model’s Leap turbines. The first delivery is delayed for a few days but regulators clear the Max to fly with replacement powerplants. The baseline Max 8 enters service with a unit of Indonesian discount carrier Lion Air. The second plane is delivered to Norwegian Air Shuttle ASA, which uses it on trans-Atlantic services, demonstrating the model’s improved range versus earlier 737s. After a year of flights the jet is also delivering the vital 14 percent fuel-savings improvement Boeing has promised customers. Lion Air Flight 610, operated by a Max 8 delivered just 2 1/2 months earlier, plunges into the Java Sea 11 minutes after departing Jakarta on an Indonesian domestic service, killing all 189 people on board. Within days, attention turns to whether the plane’s automatic safety systems may have taken control in response to faulty data readings, something Lion Air reveals confronted pilots on an earlier flight. Boeing responds to the crash by advising pilots that the Max’s so-called angle-of-attack sensor can provide false readings, causing the plane’s computers to erroneously detect a mid-flight stall in airflow. That in turn can cause the aircraft to abruptly dive to regain the speed the computer has calculated it needs to keep flying. Pilots could counteract the sudden downward tilt by following a checklist in their training manual, the planemaker said. A preliminary report from Indonesia’s National Transportation Safety Committee based on information from the Lion Air 737’s “black box” data recorder confirms that the crew’s inability to regain control of the malfunctioning jet most likely contributed to crash. The jet’s cockpit-voice recorder is found in January and investigators say they aim to conclude their probe by August. Ethiopian Airlines Flight 302 crashes six minutes after departing Addis Ababa on a service to Nairobi. Authorities confirm that all 157 passengers and crew aboard the Max 8, delivered just four months earlier, are dead. The parallels with the Lion Air disaster have stoked renewed concerns about both the 737 and the complex interface between pilots and cockpit automation.